The conference date is circled on your calendar. You are jazzed to attend a gathering of your peers because it is a challenge to break away from the day-to-day requirements of corporate, product or field marketing. Bring on the best practices! It is time to sharpen your craft! It is a bummer when the event then falls short of your expectations. The speakers, panelists and presenters were well regarded. Yet, their content focused on big-picture trends and strategy. There was little shared that can help you ramp up tactical success. At Strategic Communications Group (Strategic), we have stepped in to this void with sources to help you accelerate the impact and resulting ROI from your digital, content, Web, social media and demand generation programs. Subscribe to Modern Marketing Today. There’s no charge. Join the more than 300 marketers and sales professionals in the LinkedIn group we moderate. And finally, check out these four proven approaches from clients we support. 1. Have You Considered this Source for Thought Leadership? Thought leadership extends beyond a company’s management. Sales engineers, customer service reps and program managers can provide a unique perspective informed by their day-to-day work. This “in the trenches” knowledge tends to resonate with customers because it is timely and credible. The marketers at RedSeal show how us how in this article published by Government Technology Insider. Trends, shifts and changes in the market have real and meaningful impact on customers. Ask your company’s subject matter experts to explain this impact, rather than merely identifying the trend. Here is an example from a retail expert at Pitney Bowes Software. You have access to a portfolio of corporate authored blog posts, white papers and case studies. How do you make this content relevant to the customer communities important to your sales team? The public sector marketers at NetApp provide an example with the GovDataDownload campaign. “The US government should consider creating a ‘Department of Data’ to protect constituent personally identifiable information.” This is a wonderful example of thought leadership from an executive at Reed Technology & Information Services. I recognize I may step in to a storm by taking on this topic. However, the “Me Too” movement is timely, compelling and relevant. The risk is worth it. The purpose of this narrative is not to comment on the validity of “Me Too,” or the emotional or physical pain experienced by abuse sufferers. I am also not making any kind of societal or political statement. Like everyone, I have an opinion. It is not germane in this business context. With that disclaimer out of the way, let’s get to the crux of it. “Me Too” has absolutely impacted how sales professionals execute on the job – whether they realize it or not. And, as a marketer, you need to be tuned in to this and provide your sales team with guidance to improve their success. Customer intimacy is the foundation of business-to-business sales. Historically, this personal connection has been cultivated during dinners, on the golf course, at events and other social environments. However, an increasing number of women now influence and, in many instances, make the purchase decision. Consultancy AT Kearney refers to this as the rise of the female economy in B2B. In today’s environment, an invitation to dinner or drinks after a conference could be misinterpreted. A sales rep’s effort to build rapport can potentially torpedo a deal. I think about this every day because I sell services to B2B marketers. A quick search of my prospect database reveals that nearly 70 percent of my contacts are women. Be Clear on Intention. I am calling, Emailing, following on social media, etc. because my goal is to sell you something…that’s it. If you don’t have need or budget now, it is cool. I will stay in touch, attempt to understand your requirements and build the relationship. Get Appropriately Personal. I talk about my family with prospects to foster connection. I have been married for 19 years. My wife and I have three awesome sons. It’s an effective way to make myself real. Invest Extensively in My Brand. I publish and share thought leadership and best practices-oriented content on my “Strategic Guy” blog and via social media. I manage a LinkedIn group called Modern Marketing Today. I speak at industry conferences. Personal credibility is now as important as the validity of the corporate brand. A marketer’s day is typically a cluster of calendar commitments. It is one conference call to the next, with your fleeting moments of respite consumed by the need to respond to messages from colleagues and vendors. It’s a challenge to carve out time for strategic planning; let alone your own professional development. Yet, continued study and cultivation of skills is paramount to your own growth and career satisfaction, as well as the overall performance of your company. The desire to question, learn, understand and improve helps define who you are as an exceptional marketer. Follow the social shares and reports from industry conferences. Even if commitments kept you from San Francisco last week, you can get a flavor of Dreamforce from sites like Modern Marketing Today. Each day our editors published a summary of what captured the interest and attention of attendees. Create a personal news feed. Sites such as Newsblur allow you to quickly and easily aggregate content from trade media, analyst firms, peer blogs and other sources of insight. Ask your vendors. We work for marketers who request five minutes of program review calls be dedicated to a discussion of best practices. It’s a value add we embrace. We share insight on trends, tools and tactics. They consider how it potentially applies to their company. Each and everyday – whether you realize it or not – your company is under assault. How should you respond? The attack may be subtle and difficult to detect. Perhaps it is another vendor’s sales rep sowing doubt about your product during a customer pitch. Or maybe a former employee reveals intellectual property while interviewing for an industry job. Threats can also emerge when competitors tussle for market share. On its corporate Web site, Oracle refers to SAP as yesterday’s ERP. Microsoft’s CEO jabs at Amazon and Google in the media. Then, there are those blunt strikes created for the spotlight to spark outrage or sympathy. 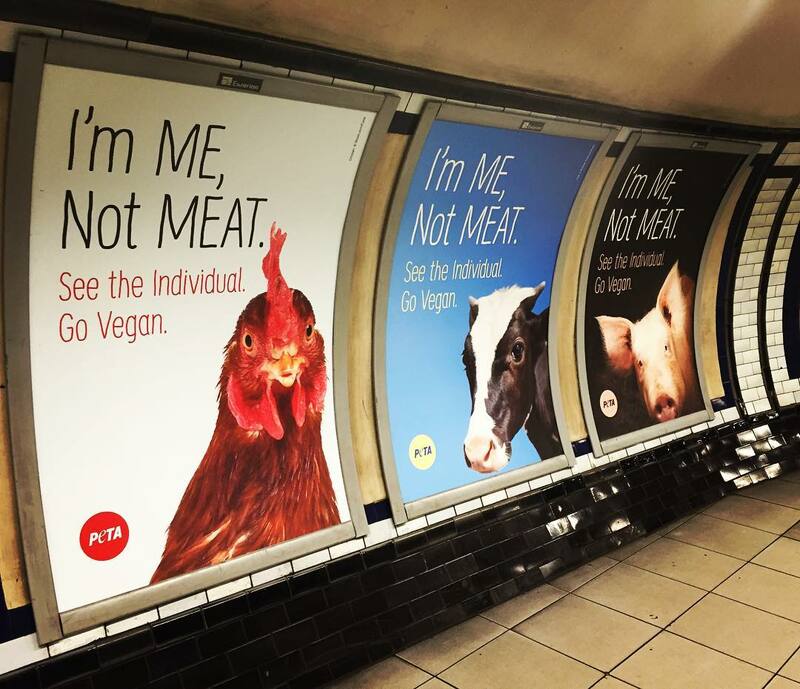 PETA’s recent I’m Me, Not Meat advertising campaign that takes issue with beef, cattle, seafood and poultry producers is a recent example. The question of how (or even if) to respond is influenced by two considerations: a) the legitimacy and potential severity of the attack; and b) your organizational culture. (Hey, some companies dig a good fight.) This is a management decision that you as a marketer should absolutely help make. Invest the time to identify threats. Let no surprises be the rule of the day. Visit competitor Web sites. Follow their social media. Talk to your customers about what they hear from other vendors. Monitor the press, analysts and other influencers. Make thought leadership the linchpin of your content. Rather than subjecting customers to hype and marketing speak, inform and educate them about industry trends, best practices and applications. This approach will build credibility and make your company more immune to attack. And finally, maintain your sense of humor. At times, it’s OK to wink and have a little fun. A restaurateur in Maryland launched his own campaign in response to PETA’s ads encouraging a vegan lifestyle.